The smallest of Britain's terns, the Little Tern is about 23cm long and has a typical wingspan of 52cm. They are strictly coastal seabirds in Britain, although on the mainland of Europe they are sometimes seen on inland lakes and along large rivers. These fast-flying seabirds have distinctive yellow bills tipped with black. Their small size, slim wings and very white appearance (the specific epithet alibfrons comes from Latin and means 'white front') make them easier to identify in flight than most other terns. 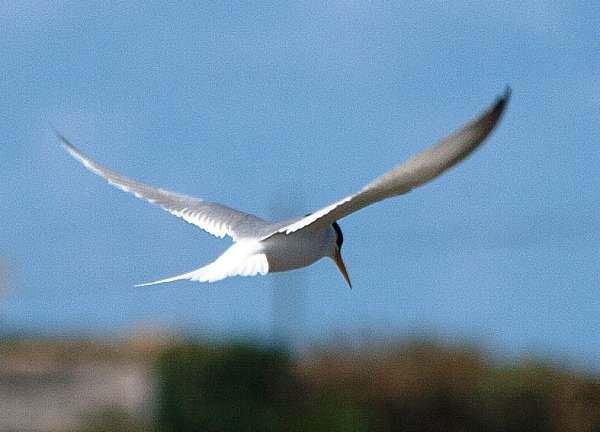 In recent years a multi- partner project has been striving to reduce human disturbance of Little Tern breeding sites in Britain and to create or restore suitable habitats at a number of Special Protection Areas (SPAs) around the coast where these birds breed. Most of the sites are in England and Scotland, but there is one Little Tern breeding colony in Wales, on the coast at Gronant, in Denbighshire. 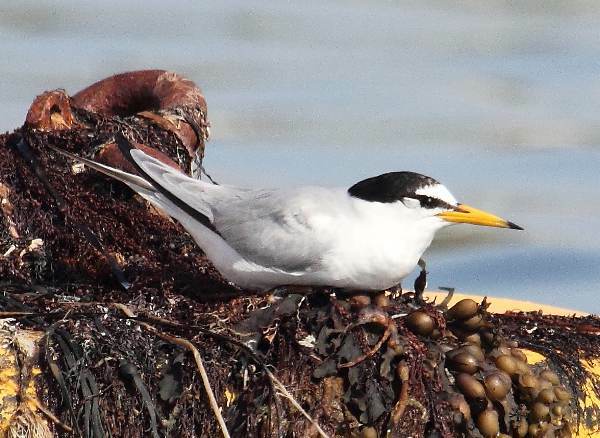 Elsewhere, Little Terns breed in (mainly coastal) parts of mainland Europe, Asia, North America and Australia as well as in many tropical and sub-tropical countries. Their staple diet is sandeels and other small fish, which they capture by spectacular plunge dives, often very close to the shore. The noisy chattering of Little Terns in their coastal breeding colonies was once a fairly common sound around the shores of Britain, but a decline in recent decades has reduced Britain's Little Tern summer population to fewer then 2000 breeding pairs. Many nests are washed away in stormy weather, because these birds lay their eggs directly on shingle beaches or the gravelly margins of river estuaries, often perilously close to the high-water mark. The eggs are mottled with irregular brown blotches and spots and so they are superbly camouflaged among the stones and sand. Nevertheless, many eggs are taken by predators, including gulls, herons, snakes and foxes. Little Terns can live and breed for up to 20 years and occasionally more, laying one, two or three eggs each year, but in years when food is scarce few of the chicks live to maturity. Despite their small size, these are long-distance travellers, covering more than 10,000 miles per year. When winter approaches, Little Terns set off for feeding grounds in south-west Africa, returning the northern Europe in the following spring. Little Terns are now at conservation Amber status on a European scale, and in Britain this is a Schedule 1 species under The Wildlife and Countryside Act.